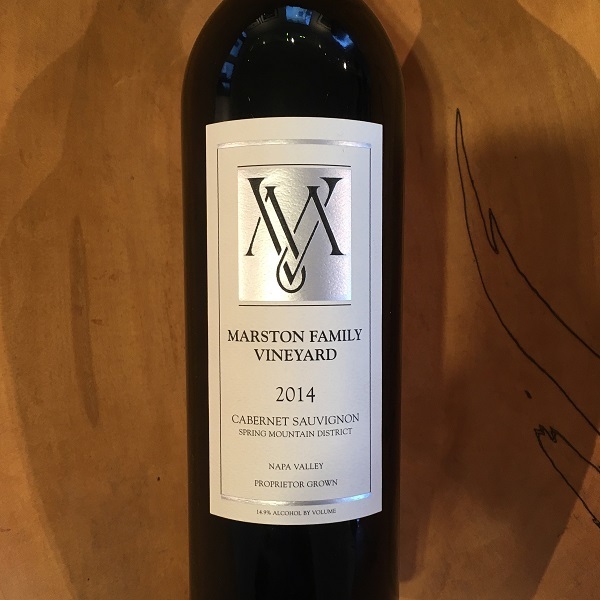 "This beautiful 100% Cabernet is sourced entierly from the Marston Family Vineyard. the Marston family Vineyard is a hidden gem on the most southern slopes of Spring Mountain above the Napa Valley. A cool afternoon breeze passes through the vineyard permitting the fruit to ripen slowly and uniformly. Hand cultivate from select on the estate vineyard a limited amount of Cabernet Sauvignonis produced each year. The 2014 growing season started with an early bud break due to an early spring. As in the previous year, ideal conditions during bloom allowed for an almost perfect set. The temperate conditions continued through veraison in July and August."